This year, Oregon made healthcare history. By passing the Healthcare Protections Bill, we safeguarded insurance for more than 350,000 low-income Oregonians, reduced premiums for another 220,000, and ensured access to healthcare in rural parts of the state. 95% of Oregonians now have coverage, and every single child will soon have access to the care they need. But now that progress is under attack. Rep. Julie Parrish and the Oregon GOP have teamed up with extremist groups like the anti-LGBTQ Oregon Family Council to roll back these victories and keep healthcare a luxury that only a few can afford. Parrish and the GOP want to take us back to a time when any accident or illness could mean financial disaster. Their referendum is bad for our economy, dangerous for our families, and completely out of line with our Oregon values. 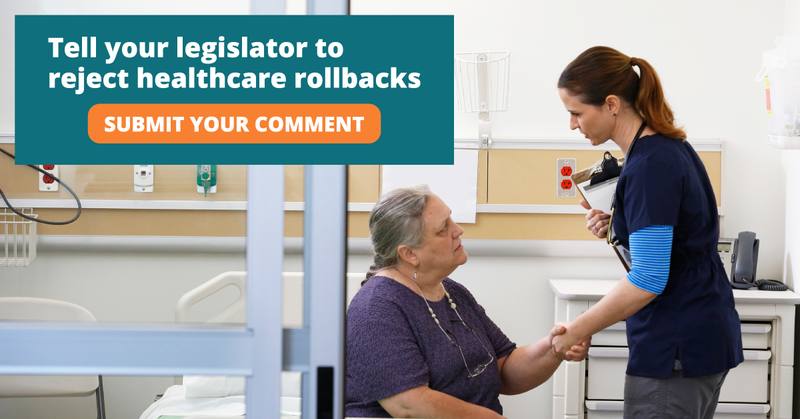 Send a message to your legislators to fight back against these rollbacks!